You don’t get testimonials much stronger than that; it comes from the late John Taylor, one of Mark’s teachers - along with John Turville, Hans Koller, Joe Cutler and Liam Noble - during his years studying at Birmingham Conservatoire. Mark graduated this summer and picked up the Jazz Department Performance Prize, the Dean’s Award for exceptional achievement and the Principal’s Prize for outstanding contribution to the life of the Conservatoire. He adds those to last December’s Peter Whittingham Award. Still in the first half of his third decade, Mark has already got about a bit. He started out in Wells, Somerset, he’s been living, studying and playing in Birmingham for the last four years, with a stay in Paris along the way. 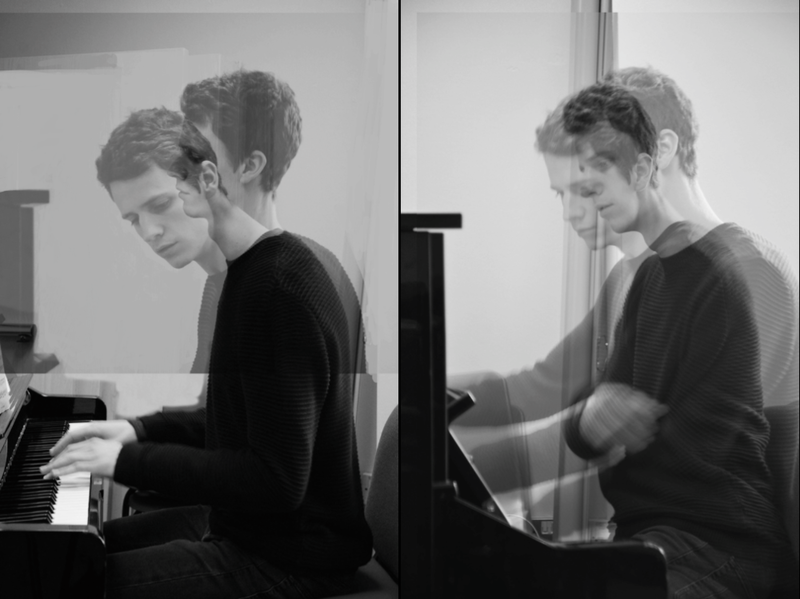 This autumn he moves to Europe to continue doing all those things in Berlin, Copenhagen and Amsterdam as part of his placement on the European Jazz Masters programme. It was the Paris sojourn that inspired the album he is releasing this month on Stoney Lane Records. A Moveable Feast finds him writing for and leading a 12-piece band which includes a string quartet along with more conventional jazz instruments. "I was very lucky," says Mark Pringle," to have the opportunity to study in Paris for four months in 2013. The music is heavily inspired by my experiences there, and so inspirations behind the pieces come from a myriad of extra-musical sources." 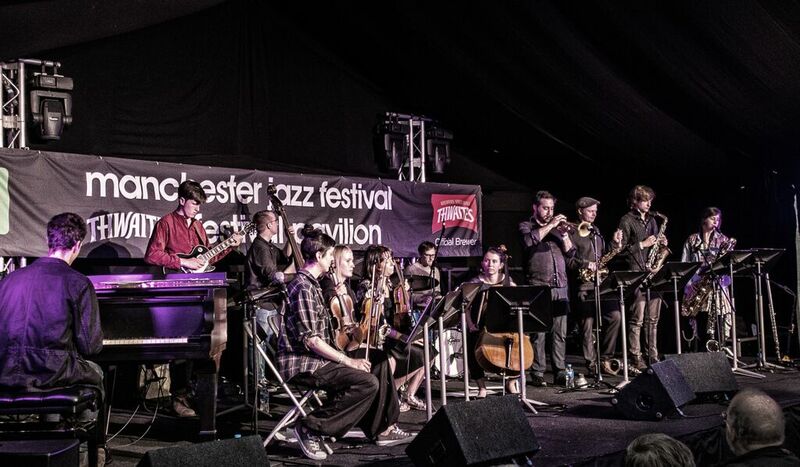 For A Moveable Feast the musicians are all current or former Birmingham residents, among them trumpeter Percy Pursglove, alto saxophonist Chris Young, bassist James Banner (now working out of Berlin) and drummer Euan Palmer. Mark started out studying classical music but he discovered the joys of improvising at a young age. "The first recording I remember having was a National Trust compilation CD of British trad, featuring the music of Kenny Ball, Chris Barber and Acker Bilk. Such great melodies! The obsession really took off with a Bill Evans CD (Empathy/A Simple Matter of Conviction) and Oscar Peterson's Night Train, both purchased from Broad Street Jazz, the old jazz CD shop in Bath." Mark is as busy playing in clubs and halls around the land as he is recording and winning accolades. 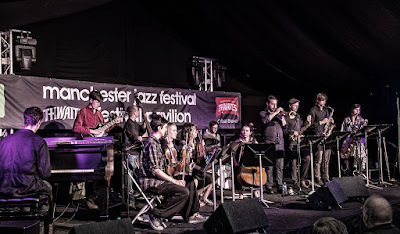 Last month he performed the music from A Moveable Feast at the Manchester Jazz Festival and also played in the Proms Extra Late Series at the Royal Albert Hall, which was recorded for BBC Radio 3 broadcast. He has been playing in the 12-piece, trio and small group formats, as well as solo. So which does he prefer? A Moveable Feast is released on Stoney Lane Records. - 28 Sept The Oxford (Trio + Wright/Mather). He is also playing in Birmingham, Manchester, Glasgow, Edinburgh, Newcastle, Oxford, Cardiff and Wells.